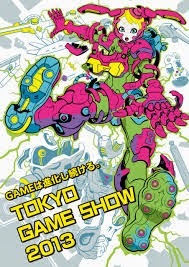 The theme for 2013's Tokyo Game Show is "Games: Limitless Evolution. " 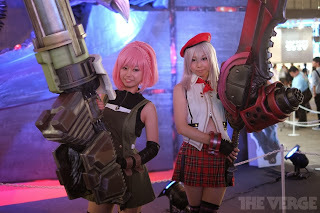 At this event the Japanese public are able to have their first look at the new consoles from Playstation and Xbox. We also must keep in mind that Japan might feel a little bit snubbed from these consoles as they will not be released there in 2013. Therefore the show did not really produce any huge revelations. Remember that Japan is more of a handheld industry and that 3ds keeps selling like hotcakes there. It appears as though Gamescom really produced the oohs and ahhs for announcements. However TGS did produce great videos. Check out this trailer for a day of Sony. The Verge has some great pics of the floor. Xbox was dripping in its green and of coarse Sony showed off in blue. Plus you cannot have a game show without some cosplayers. Also a great video of Forza 5 gameplay on Xbox One. I think I finally might have decided on my first game purchase for the new console.